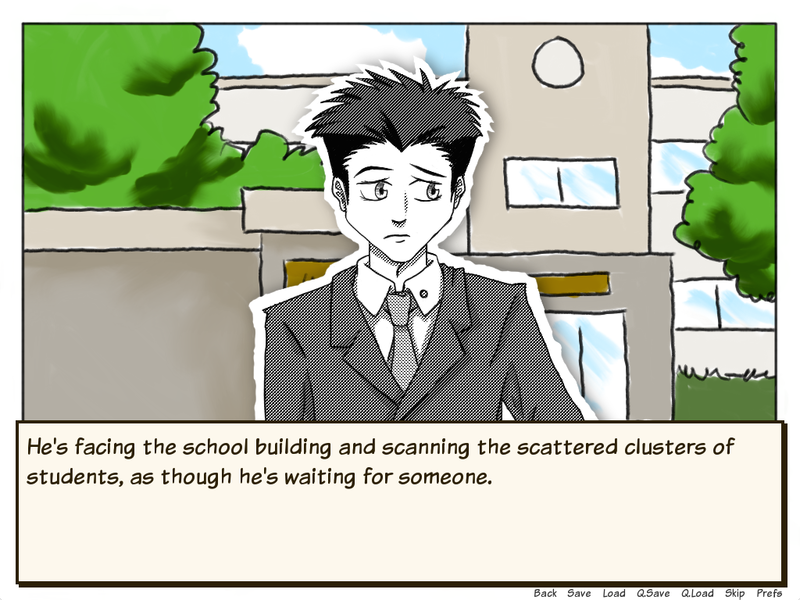 You are a student in your final year at a Japanese high school. As an upperclassman—a senpai—there is a rule amongst your kouhais which shadows your every move: Senpai will never notice you. How will you interact with your kouhais? Notice them, ignore them, string them along? The choice is up to you! Senpai Simulator was inspired by a certain popular meme. Unlike with last year’s game, I don’t remember exactly how or why the idea popped into my head. However, one thing I was sure of was that I wanted to use a different game engine this time. 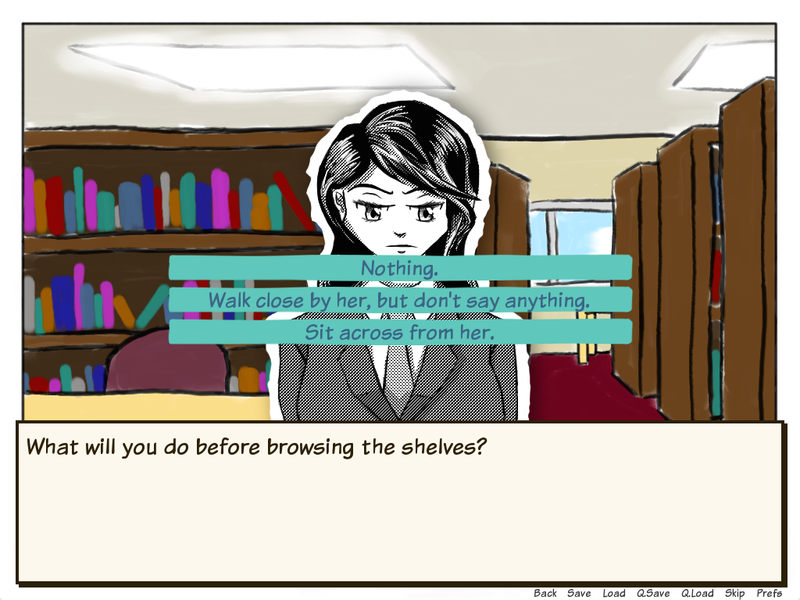 Ren’Py was amongst my top candidates, so a visual novel, dating sim, and/or life sim was in strong consideration from the beginning. Beyond the basic premise, one prominent source of inspiration was the Pokemon series. I was playing Pokemon X around the time that I began actual work on this game, and its influence is obvious in the design and presentation of a certain character. I hope you enjoy this second special Brainscraps Holiday Card, and Happy Holidays! 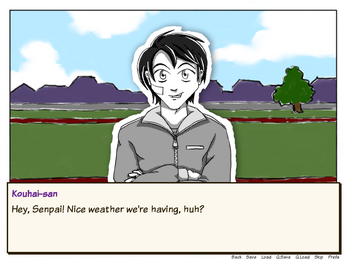 • Crude backgrounds and manga-inspired character art! • Absolutely no collectible monsters! 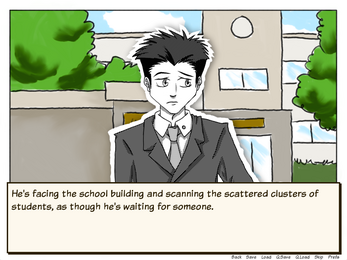 • Ten different endings and a special ending gallery! The entire game can be played with just a mouse, but to see a full list of keyboard shortcuts, please refer to the help pages located within the game’s menus. 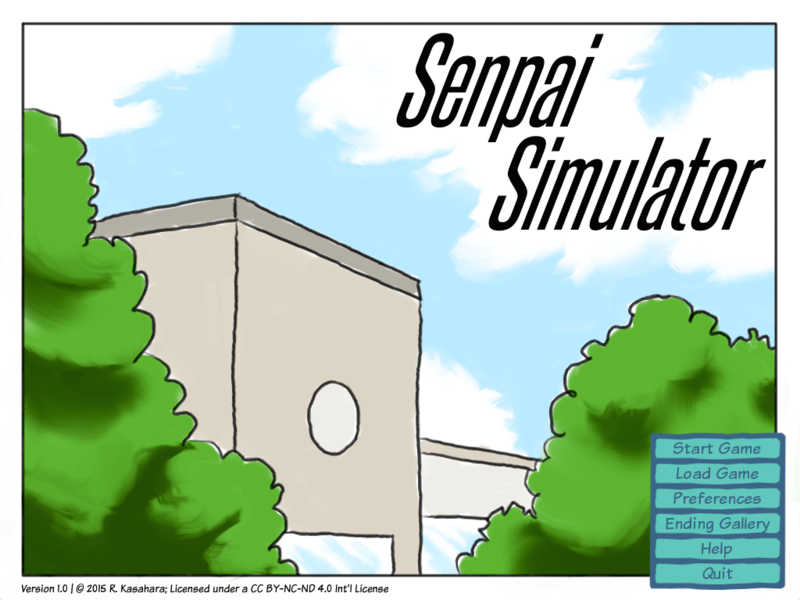 Senpai Simulator is licensed under a Creative Commons Attribution-NonCommercial-NoDerivatives 4.0 International License. Extract the zip file. 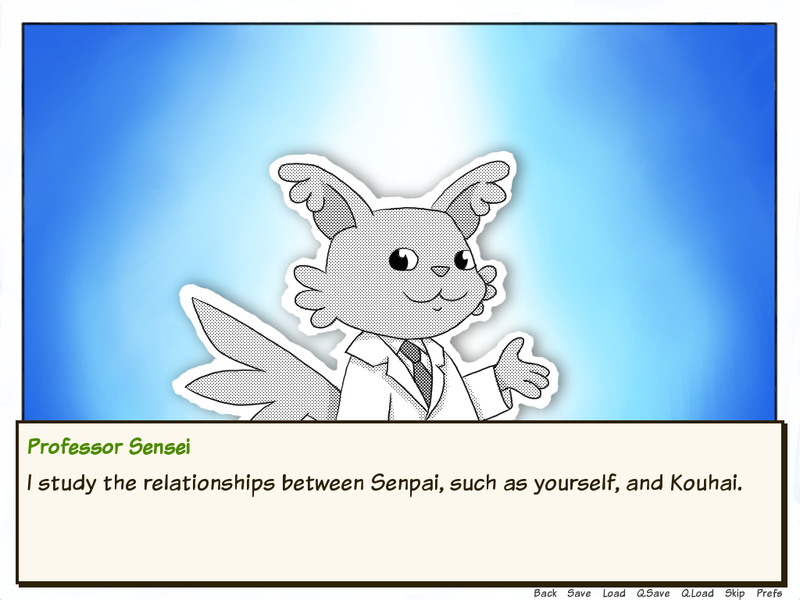 Inside the resulting folder, click on the application file titled "Senpai" to start the game. 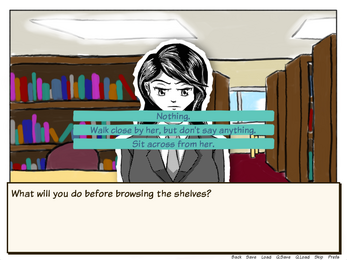 Controls and other basic information can be found in the "README" file.